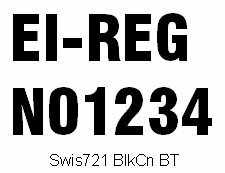 We can supply Aircraft Registration numbers in various forms, from sticky back Dacron material used on fabric covered aeroplanes like ultralights, to vinyl lettering in all colours including paint masks for spraying. 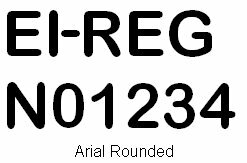 Many different fonts can be used including slants, some country regulations dictate types used but some variants are allowed. 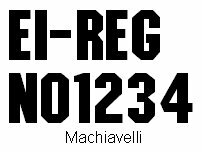 Please look at the samples below and the std registration letters sets in the shopping cart at the bottom. 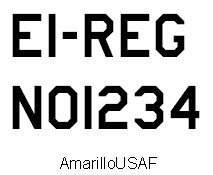 Registration Letter set consisting of One large for wing and two small for tail/fuselage. 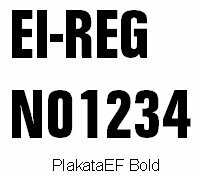 Available in special sticky back fabric needed for adhesion on Dacron/Polyester wings/tails. 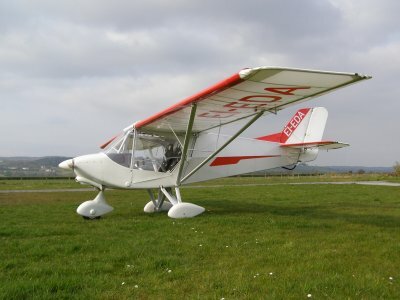 Vinyl is used for Mylar/Ultralam/Composite type wings and fuselages. Large range of colours available in Vinyl. Wing lettering is 500mm high. 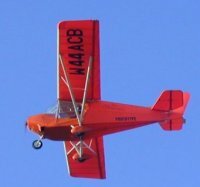 Fuselage/tail depends on aircraft & surface area available, please email with aircraft type or size. 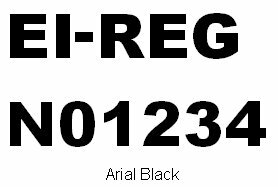 Spray masks can also be supplied, these are normally the registration Numbers/Letters cut on the vinyl and the customer then can pull out (weed) what is not required. 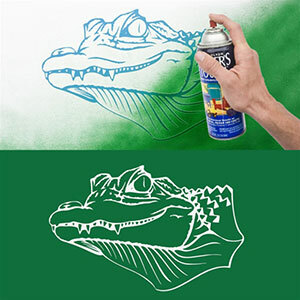 This method leaves the choice of painting inside of outside the registration.